Spot’s Paw Protection will give your dog’s paws protection from the cold, wet ground this winter with either the Vegan Organic Carnauba Wax Blend or the Organic Beeswax Blend Of Organic Butters, Oils & Essential Oils. Spot’s Hot Spots for those Lickers that have Allergies to help soothe & regenerate your dog’s irritated skin. 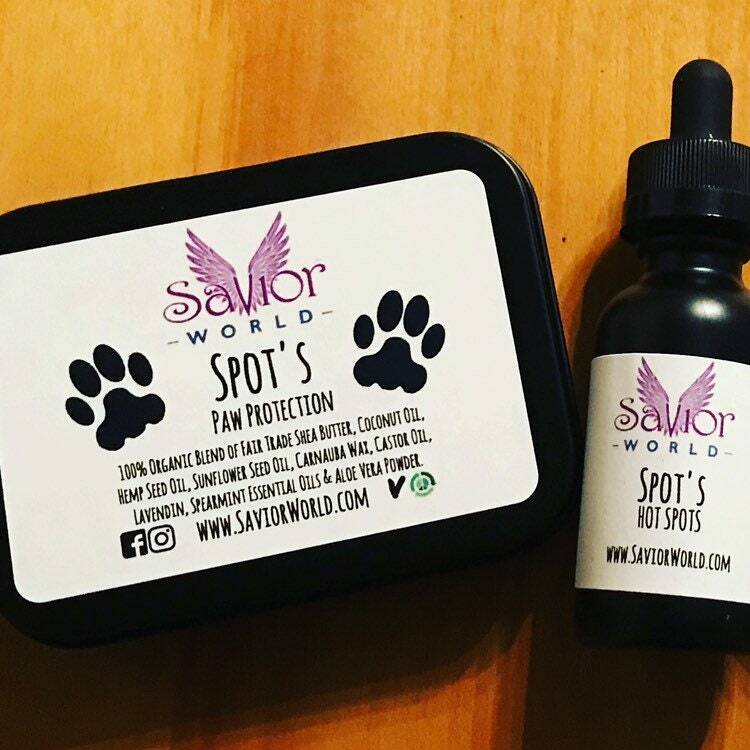 Spot’s Paw Protection comes in a black metal tin with approximately 2.5oz. Spot’s Hot Spots comes in a black glass 1oz Bottle with Dropper for easy application.